While Alice likes to use a mortar and pestle to pound the first 5 ingredients to a paste before adding the oil, modern day cooks who are too busy to pound or don’t have this equipment, use a food processor or blender to speed up the process before adding the oil. Taste for salt at the end. Put the nuts in a food processor and chop until fine. Add the oil and vinegar and process to a coarse paste. Taste and season with salt and pepper. Drizzle on pizza, pasta or bread for sandwiches. In a medium bowl cover the sun-dried tomatoes with boiling water. Let stand until soft (30 min). Drain well and transfer to a food processor. Add olives, garlic, herbs and spices and process until chopped. With the machine running gradually add the stock scraping down the sides as needed and process until smooth. 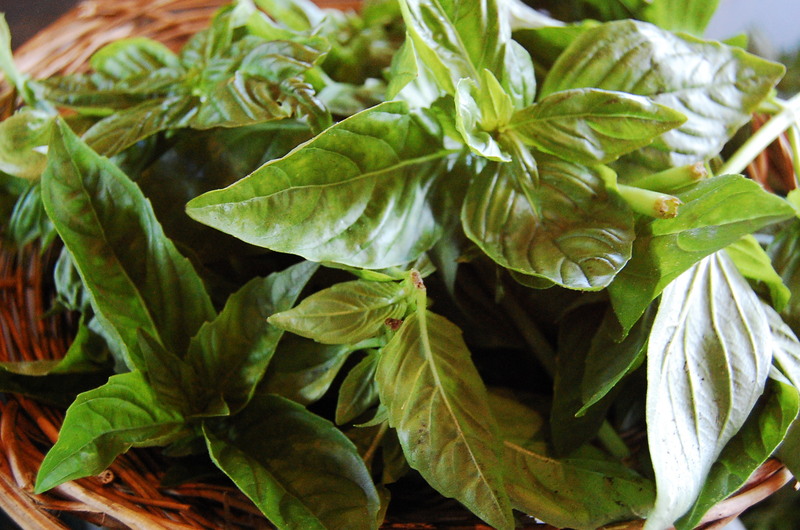 This pesto stores well in the refrigerator. Just bring to room temperature before serving.